You may have seen or heard about the billboard that kicks off our “Legislator Educator Initiative.” Our billboard is just one part of a vast effort we are making throughout the winter. Why? Because the last wild buffalo in the United States are in serious danger again. In fact, as you read this, it is likely that buffalo are being killed! RIGHT NOW! Montana! Save some dollars & make some sense. Manage wild buffalo like wild elk! Sadly, Yellowstone National Park will soon begin their absurd, taxpayer-funded “capture for slaughter” operations. Why? Because they intend to kill hundreds of wild Yellowstone buffalo in the coming weeks in order to appease Montana’s powerful livestock industry. These cruel actions are completely unnecessary and there is a simple and effective alternative. Montana could easily manage wild buffalo within its borders in the same way they currently manage wild elk! BFC has developed a cost-saving, common sense alternative to replace the costly, heavy-handed, tax-wasting, bureaucratic mess called the Interagency Bison Management Plan. This can be done once MCA 81-2-120 is repealed. [Note: MCA stands for “Montana Code Annotated”; a term that identifies the title, chapter, and section of the law and provides notes on its history]. We presented our proposed plan to Montana Governor Steve Bullock and Yellowstone National Park's Superintendent in June 2015. These bureaucrats obviously need your voice in their ears to support the common sense idea of managing wild buffalo like wild elk. Yellowstone buffalo are unique and significant. They're the last wild, migratory herds surviving in their original habitat carrying the wildlife species’ legacy for future generations and should be treated as such! We have a variety of options that will help you to protect the last wild herds. Please know that when contacting government officials, your phone calls, handwritten letters, and walk-ins are far more valuable than emails! In everything you do for the buffalo in conjunction with BFC, please be sincere and respectful to those you seek to influence. Your Phone Calls Will Make the Biggest Impact! This and other legislation pose ongoing threats to the last herds! 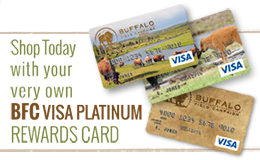 Learn how you can make phone calls on behalf of the beleaguered buffalo! Using social media: SHARE this page with your friends, family, and colleagues. Talk about this issue with people that you think will take action! Donate to help BFC keep the pressure on! Volunteer now, and join us in the field. Participate in our week of action: February 11-17, 2019. With this blood-spilling insanity playing out year after year, it's easy to lose sight of the fact that Montana's livestock industry and the bison management plan it has forced on the Yellowstone ecosystem are the true forces responsible for the killing of wild buffalo. Whether by state veterinarian-approved hunting or “government management actions,” the end result is wild buffalo are eradicated from the state, the land is robbed of one of her best caretakers, and the livestock industry cements its’ control over the public’s land and wildlife. Montana legislators aren’t feeling much heat anymore. Instead, all of the forces that should be the strongest allies for wild buffalo—Native Peoples, subsistence hunters, Yellowstone National Park, and buffalo advocates—too often point fingers at each other instead of the real culprits. We must work together. Let’s unite, collect our strength, and focus on the real problems. Montana’s political corruption is our “target” and our aim must be true. 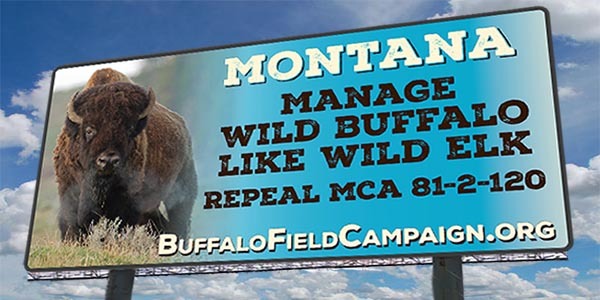 To start, we must repeal MCA 81-2-120 and remove the Montana Department of Livestock’s authority over wild buffalo. The harassment and slaughter is imminent: Yellowstone and other “managers” plan to slaughter or domesticate upwards of 900 of these sacred beings this winter in an effort to appease the intolerance and subsidize the profits of the powerful Montana livestock industry. Would you like even MORE INFORMATION? We’ve got it for you!